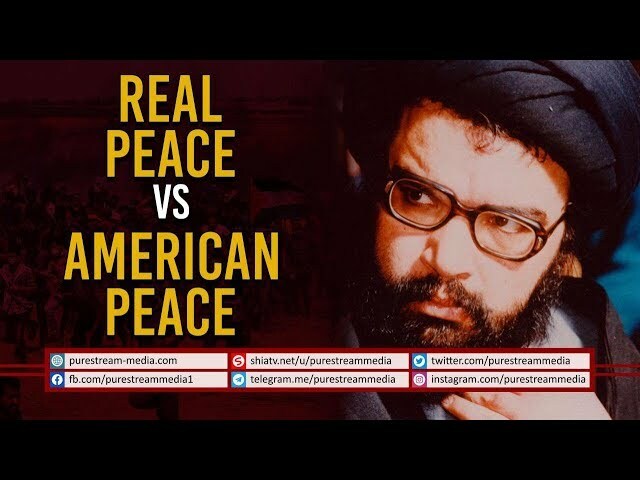 Real Peace VS American Peace | Martyr Abbas Musawi Today, some \'intellectuals\', infested, infected, and infatuated by the West, propose that America can bring peace to the world. Martyr Abbas Musawi spells it out what American peace translates to. Who can then bring real peace to the world?